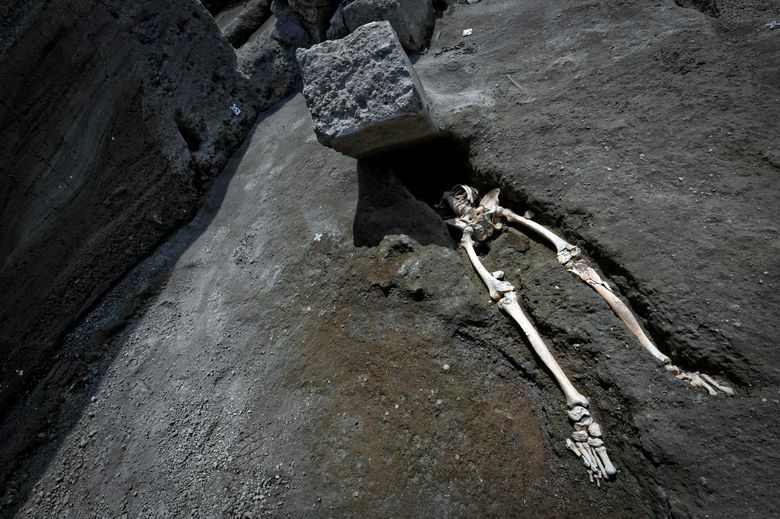 MILAN (AP) — Officials at the Pompeii archaeological site have announced a dramatic new discovery, the skeleton of a man crushed by an enormous stone while trying to flee the explosion of Mt. Vesuvius in 79 A.D. The victim, who was over 30, had his thorax crushed. Archaeologists have not found the victim’s head. Officials said the man suffered an infection of the tibia, which may have caused walking difficulties, impeding his escape. Sale! Get 90% off digital access.